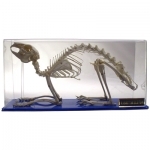 Zoology There are 52 products. With collapsible handle. 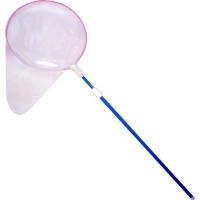 Net diameter 14.5"; net length 38.5"; handle lengths from "14.5 to 30". Bug Box, Gridded 2X And 4X. View insects at 2x magnification, then fold down the second lens for a 4x enlargement. 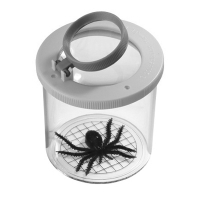 Acrylic jar is 6 cm in diameter with a measuring grid on the bottom. 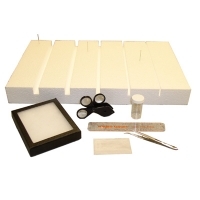 Light up your ant habitat with the AntWorks Illuminator. 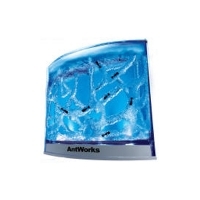 The AntWorks Illuminator catches your eye by dramatically bringing out the color in your AntWorks gel to create a very futuristic ambient lighting effect. For groups of 12 - 24. Here's everything your class needs to preserve and study insects caught in the field.  It's a great companion to our Insect Field Kit (635-1720). 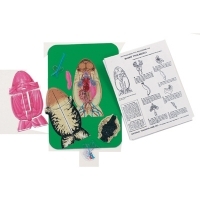 Kit includes: Insect pins, #1, 2, 3 (100 each size); spreading board, 12; entomology forceps, 12; clear plastic rulers, 12; 3-lens magnifiers, 12; clear plastic vials, 24; glassine envelopes, medium (pack of 100); riker mount, small, 12; basic instructions. Grades 6 - 12. Here's a safe and humane - not to mention inexpensive - way to give your entire class experience in dissection. Our washable, reusable, life-sized models won't chip, tear or break. 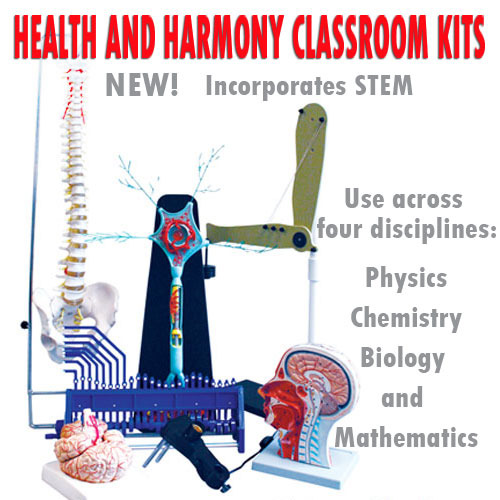 8" high with reproducible student worksheets, teacher's guide, and key card referencing 22 removable parts.